Why aren’t the National Trust and the English Heritage the same thing? After all, they sort of do the same kind of thing, act in the same sort of space and need to merge IMO. Before 2009 I had been a member of English Heritage for a while, largely to get into Stonehenge for free[ref]free once I’d gone about three times in a year ISTR[/ref]. It was a good staging post on the way down to the West Country, and usually picked up enough visits to make it worthwhile. It’s been a while since I was part of this, but now I have returned to the land of those with a regular income, I need to go out and put some of that to work. One of the remarkable things about Britain is that a lot of the place is like a history theme park, and that it has all sorts of bizarre things scattered around the landscape. Take this oddball triangular building. It challenges you a bit being inside, we are so accustomed to rectangularity in rooms that it’s quite disorienting. The aristocracy of this country was eccentric that way, and fortunately the reforming post-war governments dispossessed enough of these folk of their undeserved wealth gifted them by that varmint William the Conk that we have the opportunity to see some of them.The general principle was since so many people got slaughtered in service to King and Country in the World Wars it was considered a bit rough to have the toff dynasties lording it over the proles like they used to. There’s no need to get the violins out for the aristocracy – the landed gentry still own about half the rural land this sceptred isle, because the crafty devils struck a deal with the reforming post-war governments. Of course, Mr Attlee, they said, you wouldn’t like to break up family farms now, would you, after all we have just survived a war and had to dig for victory? So give us an exception on agricultural land for inheritance tax. Which still stands, but of course our landed gentry can’t be arsed to drive their own little Fordson tractors or get their hands dirty. They take public money in the form of subsidies to the tune of about £245 for every British household to reduce the costs of carrying their unearned capital stored in agricultural land, get huge contracting firms to farm the land, and flood it with chemicals, poison our birds while they of course keep the ancestral wealth in their dynasty free of IHT, because it’s agriculture, innit? To add insult to injury for the great unwashed, Gerald Grosvenor, who owned £9bn of ancestral wealth when he carked it recently, moaned that it didn’t make him happy. Well, Gerald, you know what you should have done then, you miserable git. Spread some of the love around, then maybe your kids don’t get to moan the same when they’re 64 😉 Seriously, you couldn’t make it up. I’m with the NT here– we don’t need more or bigger signs, because if you’re the sort that misses twenty-foot high sarsen slabs by the side of the Queen’s highway, then you aren’t going to spot the signs to the stones. The territory is map enough in this case. If you can’t arrange the trip so that it is 150 miles/day or less, then you might as well fly because you’re mostly going to see the inside of your car. Thing is, he could afford to take out 100 days for his road trip. I’ve never been able to take a stretch out like that, from the day I started work over 34 years ago to, well, a couple of years ago 😉 And yes, fair comment, I was an employee all that time, and of course all you dynamic freelancers will say you can do that any time you like. Which may be true, but heck, I have no idea of how you get to have the cojones to give up paying opportunities to bunk off for three months if you are in your 40s and have a mortgage to pay. I tip my hat to those that do, but that just wouldn’t be me. Britain’s a lot smaller than the US so I can travel for shorter times, and right now my sights are on an opportunity to see some ancient sites on private land (with their OK) and spend some time near Stonehenge. I haven’t been there for a few years, and in the intervening time English Heritage have cleared up the 1960’s monstrosity of the car park and visitor centre. On the downside they have some advance booking procedure, which is a right pain to do from a campsite because I usually have ratty Internet and no printer, and I want to aim for the golden hours of the morning and evening, because there will be fewer people and things are more atmospheric. And of course you don’t want to book ages ahead, because, well this is Britain and it may rain all day. 1913 an Act of Parliament was passed that gave the Office new powers. These were essentially to make a collection of all the greatest sites and buildings that told the story of Britain. At that stage these were regarded as being prehistoric and medieval remains – country houses and industrial sites were then not really seen as heritage. So now I know. This is why English Heritage scores on prehistory and ruins, while the National Trust specialises in places where there’s a roof to maintain. 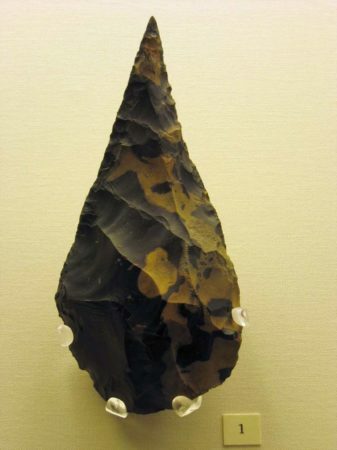 I suspect there’s mission creep with the NT, arguably for Avebury (prehistory so on EH’s turf). Looking at the National Trust’s website I struggled to find a clear statement of mission, that part is more about the how than the what and why. When I was last a member of English Heritage 10 years ago it was a quango rather than a charity, but they seem to still be up to the same sort of general thing. As it happens I’d get free parking and entry to Stonehenge and Avebury with membership of either. Entry to Stonehenge is £15.50, so after four entries I break even, I will probably use three of those in the first go. 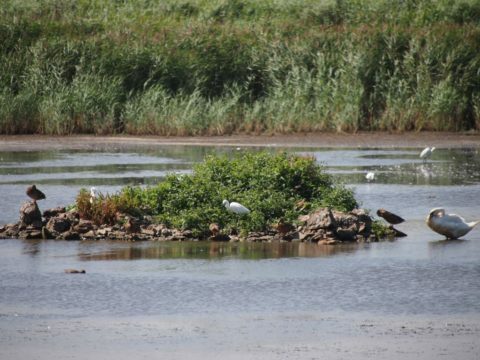 However, I am prepared to walk to save money – Flatford can easily be done by parking in East Bergholt and hoofing 1 km down the track, and Dunwich Heath is reachable from Minsmere. Like Bill Bryson, I don’t like NT car parking charges, and I just don’t pay for parking in Suffolk if at all possible – that’s the whole point of knowing an area. When I realised in 2009 I wanted a way out, one of the first things I did was can nearly all the subscriptions to various things and good causes I had acquired over the years. In an existential fight where it’s the choice between me or them I am going to take my side, and it really is surprising how much this sort of thing can add up over time. An awful lot of consumer marketing tries to salami-slice you, telling you the cost per day or per month, trying to sneak it under your radar, pretty much every mobile phone subs does that. So much so that Moneysaving Expert has come up with the Demotivator tool specifically to fight small regular payments. Once I had added this up in Quicken (old skool non on-line version of Money Dashboard) it all had to go, the only one I retained was the RSPB membership, because I live near to Minsmere. As a general policy I paid for these in yearly hits, too, which makes tracing them a little easier. For some reason I got hypersensitised to elective subscriptions – of course I pay water gas and electricity and council tax as subscriptions, but it’s tough to live without water and thugs with size 9 boots kick down your door if you don’t pay the council tax. Those are non-elective subscriptions. I have been able to adapt to the the odd piece of hedonism or larger one off purchase, but I still fear the death by a thousand cuts, so it is in the little things that I find myself getting in my way. Elective subscriptions are one of these things. Sure, they can add up, but this is why I hire Quicken to track this sort of thing, and so far at less than £200 a year all in they are probably OK – I’d want to take action at about £500 p.a. – if only to ask does all of this serve me well? One thing I have noticed is that there has been massive inflation in admission charges over the last few years – I was gobsmacked to see Stonehenge is £15+ and Minsmere is now £9. I hadn’t spotted the changes in the latter over the years as I usually just show my card. It’s hard to love the National Trust, I think some of their aristocratic background and possessions bring out a little bit of the Lady Muck in them. However, they do good work even if their excessive parking charges need to be resisted. I will probably go the English Heritage route on this, because it’s a better fit with my areas of interest. Sadly even they have gone a bit more commercially-minded a la NT. 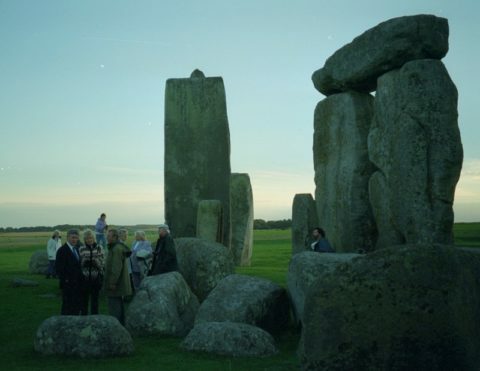 In the late 1990s I was able to go inside the circle at Stonehenge a couple of times as part of their Sundowners occasional member events which were free, and had a guide, looks like now that’s chargeable. On the upside you have more choice of times to get in now, and it’s still a lot cheaper than the hundred odd pounds this was when it was outsourced to commercial tour operators after 2003. So I’m chuffed they’ve taken it back in-house. I think you get free entry to RSPB reserves as a member of the Caravan Club (the other one). I’m not sure if there is total overlap between the CC’s CLs and the C&CC’s CSs. Or whether they even check your membership card once you’ve got their number. Just back yesterday from a trip up to Callanish – a long drive from Ullapool to East Anglia as you say, but the stones are free. Now there’s somewhere I’d like to spend some more time at. I usually try to avoid the school holidays in Scotland, which seem nicely coincide with the midge season! Lewis seemed mercifully midge free; not so some of the other places we visited. The worst was Corrieshalloch Gorge, on the way back from Ullapool (owned by Scottish NT, free entry, but donation requested for car park.) There were so many that we saw other families turn back before they made it to the gorge. There’s a work around. Join the New Zealand national trust and get reciprocal entry for both groups. And membership costs less than either in pound terms. With reference to the economics of subscribing to EH – I shelled out to become a life member after a blissful holiday exploring EH ruins and sites – then moved to New Zealand 2 years later. Its some solace that I can get in free to a few sites here in NZ. 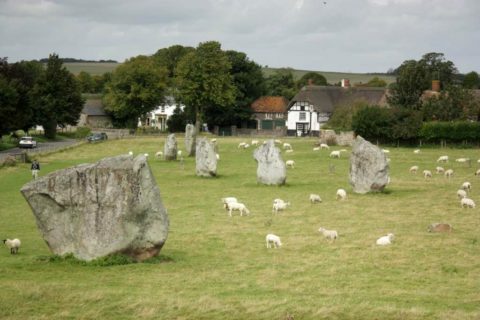 If you want to see Avebury, go on a nice day and park at the other massive ancient monument in the area, Silbury Hill for free. 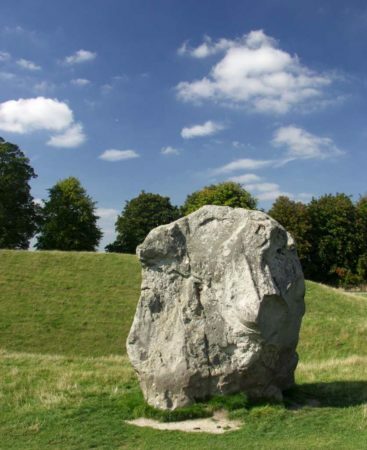 Have a look around Silbury Hill then walk along the decent path by two fields to Avebury (only 1mile), have a chuckle at the mugs paying for that expensive Avebury car park and go with them into Avebury…. makes for a very pleasant day out. Why do we have both English Heritage and National Trust? I must’ve read too many reports of CEO pay, those pay levels actually sound reasonable for the size of operation to me! Interesting to see – I am with you on why not have the two together but there you go, and whilst I love the fact its cheaper to join NZ and get reciprocal, I just couldnt bring myself to do it! I’m not sure I can do the NZ thing either. Perhaps my little piece of gratitude for today should be to be thankful that this is an elective choice I can easily afford. The years of frugality have somehow borked my relationship with small amounts of money when there’s something slightly not right about it like two orgs fighting over the same general pot. I need to get over myself. You never know – you may still get use :)But yes I think you are right its probably not worth it – I am still not sure if it is worth it – 1,550 for single or 1880 for a joint, so the joint makes more sense at that stage it may well be worth it, but the problem is the up front amount required to pay for it 🙂 Its easier to accept small chunks going out for sure. 1750 at english heritage.. its a lot up front that could be used for my ISA – maybe I will do it once both our ISAs are full… a tall order! I’m very lucky, we have a family tradition of buying NT membership for the next generation. So my Grandad bought one for my Dad in the 40s or early 50s, and my Dad bought one for me in the 70s (going on the signature I must have been about 4). It’s one way to make sure you get a lot of use from it, and children can take one of their parents in as a guest. My daughter is still young enough to get in for free, but as soon as she needs to pay I plan to buy her a membership. I hope she gets as much pleasure from it as I have. It’s one of those things you probably don’t miss if you don’t have it, but if you have it you suddenly find places you want to visit all over. Mission statements used to bring me out in a sort of Henry-reaction (from Drop the Dead Donkey) whenever I came across them. They almost always seemed to consist of stating things that shouldn’t NEED stating: “… to be the best in the World at …”, “… delivering great customer experience …”, yada yada … The sort of things that if you’re not doing well lead to bankruptcy, FFS ! As to parking charges, I noted a few years ago the arrival of charges in various car parks around the Lake District, all of which used to be free. This included places which weren’t really car parks as such, but pull-ins to go admire the view for a few minutes before moving on (one at the north end of Thirlmere especially comes to mind). Since some car parks are monitored by ANPRs these days you need to be careful about even driving in, discovering the car park’s actually full and driving out again ! 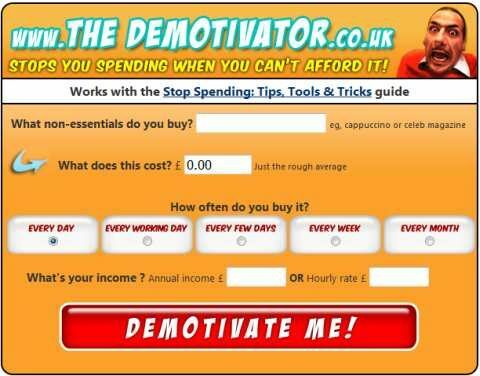 I like the demotivator tool, and like you, I used Quicken (a really old 2.0 if I remember correctly). For me it’s like Al Bartlett’s compounding effects of small annual percentage increases, a lot of small amounts here and there soon add up ! That’s partly why I skip advert-breaks – “only £20/month”, etc. Ok, but that’s £240/year … for that ?! That’s more than twice my car insurance (seriously). Sorry, my car’s useful to me, that isn’t, next ! If they want to venture out of their cage, they have to pay again to see their own natural heritage by paying the landowners they already subsidise with their taxes to live the life of Riley. This can be done directly on ‘great/historical’ estates or indirectly via the 1%’s lackeys, such as state ‘quangoes’ who gatekeep the historical sites. And I though I was angry about the landed gentry 😉 Still, you never know, throwing a harsh light on the level of subsidy of the huntin’ & shootin’ brigade might be a Brexit silver lining, though I note that these subsidies are grandfathered by the UK government now. Seems a bit rough if we can’t get the win from Brexit, such as it may be. Ah Sir, us Remoaners must shut up now, stiff upper lip ‘n all that apparently, we are not even allowed the consolation prize of shadenfreude …….which seems unfair – not being able to watch what happens to someone sawing off the branch they’re sitting on. But, the sheeple have spoken, dazzled us with their wisdom & are now happily distracted by the Druglympic circus games – from the fact that the NHS is being sabotaged/privatised piecemeal – who will they blame that now that the EU monster has been slayed? I think I’m more of an NT type of guy – I love the work they do to preserve many of the cool disused churches scattered about the UK – such as All Saints in Cambridge. In Canada that place would be a condo development by now – or a welding shop. I think All Saints (not even that old!) is looked after by a different charity – the churches’ conservation trust. Rather fine Arts and Crafts it seems too. Oddly enough I can’t recall ever having been in a church run by the NT, though given their broad catchment I’m sure there must be some. 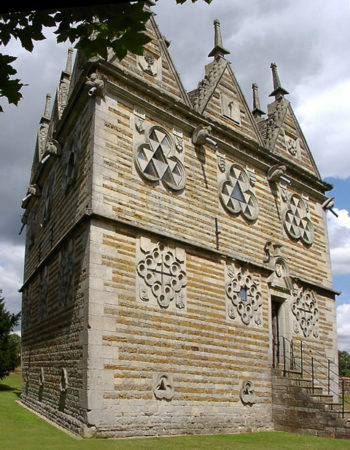 Whereas I have been in St James chapel in the charge of English Heritage even though it still has a roof. And it’s free. You’re right of course, The NT does have some churches in its care but they are more the 17th century variety. All Saints is still pretty cool regardless of who maintains it, as is the Round Church not far away which is a 12th century building. Looks like still another charity manages the Round Church.Go figure. There appear to be a number of church preservation charities out there in the UK. Maybe they could do with a consolidation as well. As for the welding shop story, one of the Methodist churches in my small Ontario town (built 1880s) became redundant around 1950. It became a fabrication shop for snow blowing equipment and is now being recycled again as an apartment building – or maybe not. Ermine and all, if you haven’t been to the Orkneys go and visit. Prehistoric villages, the sea, puffins etc. etc. I have splendid memories of my bicyling holiday there, and you will be hard pressed to find more “old stones” per square km anywhere else ! It’s on my bucket list – want to spend abut six weeks there. Good for birdlife too I hear – as an extra win! Ermine, I think you’re forgetting the complications of devolution – you’re not actually talking about merging 2 organisations – it’s more like 4 or 5, Cadw is run by Welsh Government and Historic Scotland is run by Scottish Government. Not sure about Northern Ireland. So it’s at least 4 organisations and at least 2 governments who like to keep control. Pretty much no chance. NT doesn’t have a lot of sites in Wales, particularly SE though they have recently obtained a few from councils so they seem to want to expand there. I always do an intake of breath at their prices and they always try to make you a member (not currently worth it in S. Wales). But I like historic places and I know how much it probably costs to keep them going, so grit teeth and pay. I ran across your blog linked from somewhere else a year or so ago, and always enjoy reading your musings. Not on the average UK wage if they want to have airs and graces. In the end there are choices to be made in life, if they are on the average salary and want to have three kids they’re gonna feel poor relative to others who have two or fewer. Now’t wrong in that but it’s a choice they’ve made. Just like someone who retires early will have less money than someone who goes all the way – you pays your money and you takes your choice. “he NT is dearer at £63 than English Heritage at £52, but” … once they merge they can charge £200 p.a. because there will be no competition. I don’t know – if having single suppliers of commuter train travel and necessities like water has been deemed A Good Thing over the last 30 years, then price gouging will be limited. God, do you want to install a monopoly and then also a government regulator of same? Do you want someone to bid for the franchise of running the combined operation? Water tends to come through monopoly pipelines, trains run on nationalised monopoly track. Both circumstances are a bit different from NT/EH. I’m a member of EH, NT, the Art Fund and the Historic Houses Association, and love them all. They all do a remarkable job given their conflicting demographics. The Historic Houses Association is my favourite at the moment, its a collection of independent stately homes, so more variety and more eclectic presentation. I had a 4 day holiday over the BH and visited 2 gardens, Wilton House, Beaulieu and Highclere for free with them. Lovely! Not sure many people pay the raw NT prices now, as with 4m members nearly every visitor waves a card. Yep the NT/EH separation is annoying and too expensive, I thought about going the NZ heritage route this year but it doesn’t cover car parking so it’s as broad as it is long. I do enjoy the wide variety of places the NT maintain and have had some pretty good cake in surroundings that I find convivial. There’s even a guilty pleasure to be had indulging in some inverse snobbery at the more ostentatious properties. I find the whole experience quintessentially middle class decent and nice, but can’t help but feel I’m watching a family of diplodocuses at the last watering hole. I can’t see the NT as lackeys, just luvvies tending the watering hole until the last diplodocus fades away. Talk about your detested “digital Taylorism”! – check out the FT Weekend 10/11 Sep Life and Arts cover story. Brave New Gigworld. We joined the NT earlier this year and have found it great value for money. There are a couple around our area with extra parking charges but most are free so we just go to those ones, they’re all pretty nice. I like the NZ hack but again not sure it feels right to do that. Also never knew about lifetime membership, I really like the idea of buying that for the kids as one commenter mentioned. Kind of odd that people are surprised by the entry in these days of the Web and smartphones and all that. Previous Previous post: Telegraph to wannabe FI/RE new parents – you must be kidding!